Unlike a lot of other software vendors, we offer a powerful and unique Mobile App solution, which allows your members quick and easy access during your events to various modules within MemberLeap. Our Mobile App is designed to run on mobile devices such as smartphones and tablets, and they provide members with direct access to the modules within MemberLeap. They are available for download for Android through Google Play and for Apple through iTunes. 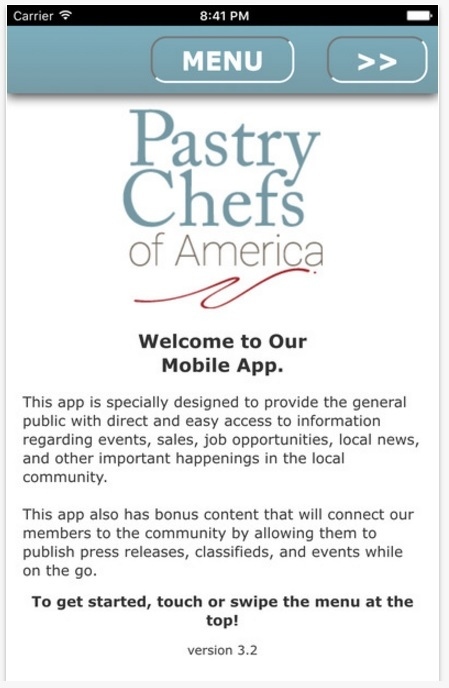 You can see how our test mobile app functions at mobile.pastrychefsofamerica.org, or you can download the app for Android or Apple. We will brand your Mobile App to your association's logo and colors as well as fill it with the features your members need. You can control which content is installed on your app.